Our main priority is to offer excellent quality horse tack supplies at a price you can afford. Our Flexi Continental Mullen Mouth Gag Bits are in stock and on sale now. 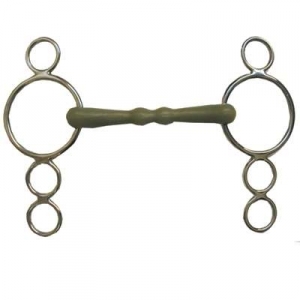 This a Top Quality bit for your Horse. The Mullen Mouth also helps spread pressure. Your complete satisfaction is guaranteed.